Make information active, not passive. ie, more surveys as well as newspapers pages. Get more cooperation from the schools. Taxes could be increased. While no one likes tax increases, maintaining and improving the quality of City services is more important than freezing taxes. I don’t know – get experts to help us reduce (Can’t eliminate) the volume. It’s probably almost time to start thinking about an entirely new sports complex. A new sports complex and a pedestrian bridge across to Queensborough. The candidates weigh in: what to do about the Pattullo? This is the third in a series of articles sharing highlights from NWEP’s mayor and council candidates questionnaire on environmental issues. The first article in the series shared the mayoral candidates’ takes on “sustainability” in New West, and the second dealt with traffic. The full questionnaire and all candidate responses are on NWEP’s website. While we shared the candidates’ opinions on traffic issues in our last post in this series, it’s worth taking a little more time to discuss one issue in particular that could have a profound impact on traffic flow in New Westminster: the proposed replacement of the Pattullo Bridge. Unless otherwise indicated, responses are from council candidates. NWEP asked the candidates: TransLink continues to mull a replacement for the Pattullo Bridge. Would you rather see the bridge repaired, replaced with a 4-lane structure, or replaced with a larger structure? Would you support tolling the bridge to pay for its replacement? If you don’t support replacement, would you support tolling the existing bridge? If the bridge is not structurally sound, it should be replaced. If it is safe, it should be changed to a 3 lane bridge operating like the Lions Gate Bridge alternating two lanes direction during rush hours. Considering the Pattullo Bridge was opened in 1939 (I believe), the considerable amount of money already spent on maintenance/repair and most importantly the many vehicular deaths caused primarily by design and congestion, I would prefer to see it replaced with a well designed 4 lane bridge and tolled. If Translink moves ahead with the replacement of the Pattullo Bridge, I would only support a 4 lane structure. New Westminster’s road network is operating near capacity and cannot handle increased traffic. The expansion of the Pattullo Bridge would only induce more traffic into our community and local neighbourhoods. Until we have a complete picture of costs and other details, replacing with 4-lane seems the most practical solution. I am well aware that members of the community prefer a larger structure, and some people prefer no bridge at all. The issues of the Pattullo Bridge is to replace with a larger structure, and with the bridge construction helped with Federal Funding. I would prefer to see it replaced with a well designed 4 lane bridge and tolled. I cannot honestly comment on tolling the existing bridge unless it is to build funds for the new bridge but I fear it may take too long to accomplish that goal. Although I have some concerns about the un-coordinated road pricing system that exists in Metro Vancouver, I think it is reasonable that Translink pursue this as an option to finance this project. If other bridges are tolled and a new Pattullo was not, that would encourage more vehicles into New Westminster. I would like to see tolling, but with a low toll or none at all for local residents, promoting the idea of a local bridge for local traffic, which is only one-third of the bridge’s actual total now. As a SkyTrain rider and transit user myself, it occurs to me that I do pay a toll every time I use public transit. SkyTrain and buses are just as much a part of the transit system our taxes paid for as roads, yet there is a specific toll each and every time. This disincentive to use transit should be eliminated. Public transit is just a way of getting around, just like roads and bridges, and should be free and equally paid for through our taxes. I think the present bridge should be tolled now to gather funds for a replacement bridge of 4 lanes in the future. We MUST have the Patullo tolled,if we do not, we will become the Fraser crossing of choice and we will be inundated with even yet more traffic. Tolls are a fair way of paying for infrastructure. Tolls are used throughout the Maritimes and are accepted. Once the Gateway project is completed and a toll in place on the Port Mann Bridge, the Pattullo Bridge will have to be tolled in order to protect the liveability of our neighbourhoods from the increase in traffic. If tolls go up on the Port Mann then they have to go up on the Pattullo. With the gas and associated government taxes and fees now levied against motorists I am against tolls. The gas tax was brought in decades ago specifically to cover expense of roads and bridges and they continue to rise. Use that tax for it’s intended use. TransLink being constantly in our pockets to cover costs is double dipping as are the board of directors with their TransLink and Mayor’s Salaries. I support the question going to the public as a referendum after ensuring that all options are presented to the people of New Westminster. The Pattullo bridge must be replaced and consultation will determine the optimum size. Tolling and road pricing is on the agenda with GVRD and the Province. About all you can do with Pattullo bridge to maintain it is, Paint and Patch. Increasing lanes? Not likely by design. It is an old bridge and deserves a place in New West’s history. I am in favour of a new Bridge off United in Coquitlam where it can connect via King Edward to Lougheed and the Stormont connector. Why not build a new bridge and retain the Pattullo for pedestrians, cyclists, scooters and “0” emission electric vehicles. Patullo Bridge as it currently exists is fundamentally unsafe. It does not adequately accommodate cyclists and pedestrians. It was closed for a time because part of it is actually made of wood and it caught fire. And when it was closed, life continued. The traffic disaster that resulted adjusted after a couple of days. In my view, it never made a lot of sense to connect a 1930s bridge to a residential street system initially designed for the horse and buggy. It makes less sense to add two more lanes of traffic to a small city where people have to drive through those residential areas before connecting with major roadways. Two-thirds of the bridge’s traffic is not local at all to New Westminster or North Surrey, but is just passing through to somewhere else. A new Pattullo Bridge could route through North Surrey, and connect with Highway 1 and North Road in Coquitlam. It’s an only an idea, but an idea worth considering. Any decision on the bridge should not occur before complete environmental and impact assessments on the options, and fair consideration of all of the options. Issues like this require extensive research and analyzing all the pros and cons. I will base my decision on the best interest of the city, environment and our citizens’ preference. We need to work with TransLink in dealing with the Pattullo Bridge. It has to be done within the constraints of public funding and whether it is repaired, refurbished or replaced will depend on the overall plan to move traffic through the region. New Westminster is not the dumping ground for the region’s traffic issues and we need to garner better respect from our neighbors. We are the keystone to the region and we deserve better treatment from our regional government not the current lip service our current regime accepts from this body. There is a group called Get Moving BC, which had a report produced by a Voice New Westminster founding director (see Kent Spencer, The Province Published: Monday, September 15, 2008) recommending another 8 lanes of traffic into New Westminster by replacing the Pattullo bridge with an 8 lane structure at the foot of King George. I do not support an 8 lane Pattullo replacement. We can’t keep dumping the regions traffic through our city. When an 8 lane bridge becomes gridlocked, and it will, our neighbourhoods will suffer total gridlock and emergency vehicle response times will become critical. I don’t know enough about bridges to know if it should be replaced or repaired or expanded. Traffic ranks as one of the top concerns for New West residents. Photo: Dennis Sylvester Hurd. 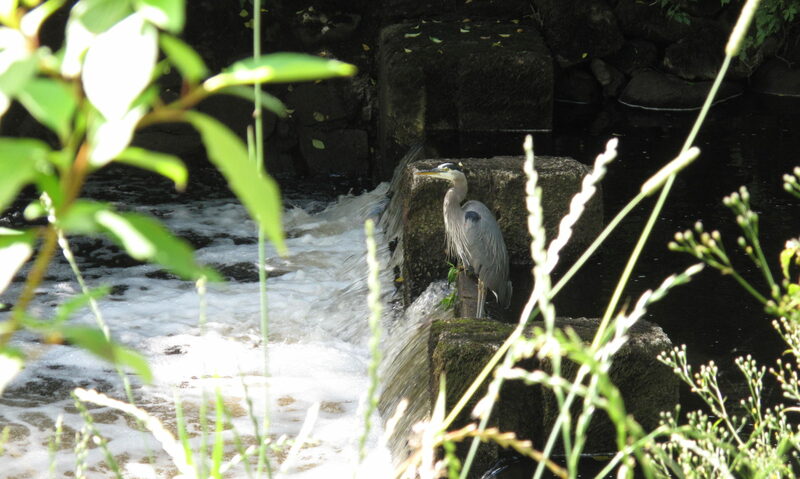 This is the second in a series of posts highlighting responses from New Westminster Environmental Partners’ mayor and council candidates’ survey focusing on environmental issues. Our first post brought together the mayoral candidates’ answers to NWEP’s questions on local questions related to sustainability. You can read all candidates’ full responses on NWEP’s website. If you’re looking for more information on mayor, council and trustee candidates we have compiled a list of all New Westminster civic election candidates’ websites, Twitter profiles and Facebook pages on Tenth to the Fraser. A constant source of frustration and conflict in New Westminster, traffic is one of the most heated issues in our city right now. An outpouring of public protest scuttled the proposed United Boulevard Exchange, but the city remains challenged by the question of how to handle the competing demands on its roads. Truck traffic and downtown commuter traffic from other suburbs regularly clog our streets and the resulting gridlock inspires rampant “rat-running” through normally quiet residential street. The question of what to do about all this isn’t easily answered, as council considers other factors including social, environmental and economic costs. I have therefore grouped replies from our council candidates based on the emphasis they gave in their answers to the various competing approaches to transportation planning. There is some overlap, so please do read through the candidates’ answers in full, but my hope is that this will give voters a sense of which candidates prioritize improving the flow of car traffic vs. reducing the volume of car traffic, for example, or those who advocate focusing on mitigating imapacts on residential streets vs. more ambitious plans to radically reroute traffic. Replies are from candidates for council, unless otherwise indicated. The question NWEP asked candidates was this: The City will be developing a Master Transportation Plan within the next term, what would you like to see included in that plan? Comprehensive movement plan to get vehicles in and out efficiently instead of building our road network for two or three hours a day. The people that live work and play in New Westminster should not have to endure movement challenges for the other 21 hours a day. The public must play an important role in any plan to be developed. I would like to see a plan which plans to do away with $100,000 plans, which simply gets put on the shelf. We need a bypass! We need to work with adjoining communities for a common solution. Develop Stormont. The UBE is unnecessary now they have the King Edward overpass nearing completion. However Brunette, E. Columbia, Front Street and Stewardson Way will need to be a huge part of the Study. Once the South Perimeter Road is complete, I estimate you will see a considerable reduction in traffic heading through New West to Highway #1. We have a whole crew of transportation bureaucrat’s claiming their high salaries are justified. Now is the time to prove it. A reasonable truck route plan, exploration of the Storemont interchange. Regarding developing a workable Master Transportation Plan you have asked a difficult question. The most obvious challenge to me is the re-routing of commercial trucks/vehicles, improved traffic control, improved inner city transit and to create incentives to encourage more foot and bicycle use. A lot of people find it easy to go downhill but not so easy to go uphill. Better strategy to streamline through traffic like. Study to see if one- way streets would help, and where. More left hand turn signals (dedicated), or interdiction to turn left. May be a gondola from Columbia Station to the Mall uptown that would run above the low rise on 7th street (they have those in Venezuela). Given that transportation is such a critical issue in New Westminster, the Master Transportation Plan will be one of the most important documents the upcoming council will be working on. I would like to see this plan focus on increasing the sustainable transportation (walking, cycling and public transportation) mode share in our community. I also feel that this plan needs to focus on improving the integration of land use and transportation planning. Look at options to reduce traffic in New Westminster, and move away from our role as the throughway of the Lower Mainland. City positions and a plan to pursue them on regional transportation issues and inititatives. Review the routing and the need for Patullo Bridge, be ready to challenge TransLink when necessary, push the province to reform TransLink to be more responsive to communities, and give greater emphasis to public transit and other modes of transportation. A solid plan, with targets, timelines, and adequate resources, to make all of our streets safe and fully accessible to all. Enhance and promote support for walking and cycling in the city – and beyond the city, as part of our connection to regional transportation infrastructure. Call for improvements to Skytrain and the five stations in New Westminster, and expanded hours of service. Skytrain should be safe, be clean, and be well maintained. Citizen involvement – a very good program of consultation with citizens, stakeholder groups, and neighbourhoods. Return Front Street and the waterfront to the people, and restore the natural environment on the waterfront and the heritage buildings on Front Street, by finding parking alternatives to the parkade so that it can be at least partially removed. Undertake initiatives to support electric vehicles and small personal transportation in the city. Improve bike and pedestrian pathways by removing obstacles. ‘Walk/bike to work’ is [a] subject that needs close attention. If designed properly, programs like this can reduce daily traffic while improving citizens’ quality of life. We are the thoroughfare of Metro Vancouver, and if you think the traffic is bad now, wait until the new 10 lane Port Mann bridge is open. We need to take advantage of our Chartered control of some of our roads and curb the expansion of the vehicle onslaught into our city. At the same time we need to move people and goods efficiently and creatively. A continuation of respect for all residential neighbourhoods with reduced impact from motor vehicles. In the plan clear direction of where motor vehicles can go not just where they can not go. We need to know the BC Gov’t final decision on the Patullo Bridge, also we need the Surrey-Delta South Fraser Perimeter Road to be completed to take truck pressure off of our roadways; Front/Brunette/Stewardson. We need to continue neighborhood traffic calming, and making each neighborhood safely walkable. Transportation requirements are complex and issues that we need to address include pedestrian safety at crossings, better facilities for cyclists, transit access and service, reduced volume of regional truck and vehicle traffic, vehicular safety as well as air quality, noise and livability issues. We need to find the best routes for all traffic in the City and how to find the funding that will be required. I would like to see the master transportation plan include a choice to move around the city by foot, bike, bus, Skytrain & car. Consideration for semi trucks must be included as well as handicap & disability services, providing facilities – covered benches, & trees for the environment. Through traffic still needs to be directed to the perimeter of the City. I would support a cut and cover on McBride Blvd. from the Pattullo Bridge through to the Stormont Connector. Our City is in the unique position of being the ‘keystone’ of the lower mainland and needs to determine its own destiny. As the oldest City in Western Canada, preceding Canada itself, we deserve the respect of the other cities in this region and MUST continue to remind them of this fact. We have no land to devote to expanded roadways and have no funds to pay for regional arteries. With that being stated, we need to work with our neighbors to arrive at a regional solutions which work for all. Flow-through traffic needs to go around, over or under our neighborhoods so our citizens can enjoy the quiet enjoyment of their homes including the ability to get in and out of the city unimpeded. This will be a major challenge and needs public consultation with our citizens and our bordering jurisdictions. Turnout was good at the first all-candidates meeting of the 2011 campaign, hosted by the Queensborough Residents Association. At the first all-candidates meeting for the 2011 civic election in New Westminster last night, Bob Osterman took me to task for making fun of his ugly election signs. I don’t recall doing that, and I can’t find any posts in the archives that mock his signs, but Bob took me aside and said that last election me or someone related to Tenth to the Fraser did, and I guess I’ve got to believe him. Bob went on to explain why. Whether Bob’s ugly election signs are a sign of pragmatic thrift, environmental consciousness (reduce, reuse, recycle!) or a kind of superstitious talisman – his version of growing a playoffs beard – I believe this anecdote illustrates a simple truth about New Westminster politics: there’s more than meets the eye. Since we began blogging about New Westminster three years ago (we launched Tenth to the Fraser shortly before the 2008 election – though the timing was quite unintentional), the way I view local politics has changed profoundly. Three years ago, the names on the ballot were just names on the ballot. I’ve now had the privilege to get to know most of this year’s candidates as people. 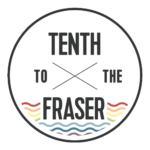 My husband Will and I launched Tenth to the Fraser in part as an incentive for ourselves to dig deeper into local issues and get to know our community better. We have succeeded far beyond my initial expectations. Several of the council and school board candidates this year are now our friends, and most are friendly acquaintances. I look back at Will’s observations of mayoral and council candidates at the last Queensborough All-Candidates’ meeting and our endorsements in 2008 and it’s funny – we snubbed some of the people who we have grown to like and respect. Like most voters, all we had to go on was election flyers, the all-candidates’ meeting and newspaper coverage. In other words, we had to rely on secondary sources, and it’s very hard to get a true measure of a person via leaflets, reporters or 30-second stump speeches. This too is a secondhand report, but in it I hope to show a bit about the people on the ballot. If you are able, I encourage you to meet the candidates in person – many of them are quite different than how they come across on paper or in pixels. This post will not offer any specific endorsements, just some observations and notes that I took during the all-candidates’ meeting. Given the disclosure above that some of these candidates have become friends, I do want to reveal up front who these are. I’m no journalist, and like everyone I am not unbiased. I’d rather be honest about my biases, and let you temper your own judgements about what I say based on this disclosure. Candidates I would call friends (people with whom I have shared a beer or other informal social time) include Jonathan Cote and Jaimie McEvoy on council and Jonina Campbell and MaryAnn Mortensen on school board. I am friendly (though not close) with John Ashdown, who was one of the early co-organizers for the inaugural Summerfest event, as well as James Crosty and Wayne Wright, who were my Quayside neighbours when I first moved to New Westminster. I have also had several friendly conversations with Betty McIntosh and incumbent trustee Lisa Graham. To be clear, being “friendly” with someone doesn’t automatically mean I would vote for or endorse him or her. I don’t agree politically with all my friends – it takes the fun out of talking politics if everyone agrees on everything! Now, on to the all-candidates meeting report. I took a lot of notes at the all-candidates’ meeting – and in fact, was berated for it by a fellow citizen who accused me of being a City shill (and, when I said I was blogging, demanded I tell him who I was blogging for – as though it couldn’t possibly be for my own fun). This was the same guy who kept asking long-winded leading questions and then shouted down any candidate who dared try to answer them. All the politicos took it in stride. This won’t be the first, or the last time they will be loudly attacked by someone who takes advantage of a public question period to share an angry rant. Here are some of the quotes, observations and paraphrased comments that stuck out for me for each of the candidates. They are in no particular order. “No mayor walks by himself.” – Incumbent Wayne Wright, who said that he feels the current council works very well together, evidenced by the fact that there have been only two tied votes in the last six years. He appealed to voters to choose a leader and six to go with him. Wayne is running on his record, of course, and used the mic to remind everyone about the many changes he’s brought about during his term, particularly the transformation of Queensborough (since the all-candidates meeting was hosted by that residents association). “Sports and music are ways to bring people together” – Francois Nantel, an affable Quebecker, mentioned several times that social events are important to build community. The mayoral dark horse suggested the creation of a mayors’ slo-pitch league to encourage more citizen involvement. He also said that he was unaware of any music festivals that were hosted in New Westminster, which was a surprise. There are several, including the 12th St. Festival, organized by council candidate John Ashdown. “I’m neither an asteroid nor a star, just a guy with his feet planted firmly on the ground.” – Vance McFayden positioned himself as a pragmatic, middle-of-the-road populist, promising that he’d initiate a program of four open town halls per year where citizens could discuss the issues that matter to them with mayor & council. He told me prior to the debate that he was a good choice because he had “no ties.” I think he was referring to Wayne’s well-known connections to developers, and perhaps hinting that the other front-runner, James Crosty (who was absent) had his own “ties” to be wary of. The surprise mayoral contender wore a giant photo button on his lapel with a picture of his father – apparently a family tradition to celebrate the life of someone who has recently passed (Vance’s elderly Dad died on Sunday, and it is the reason why Vance didn’t announce his candidacy earlier). As I mentioned, James Crosty was absent, but he sent several volunteers to distribute flyers bearing his apology and an explanation: he was at a residents’ meeting in uptown New West that he said he committed to two months ago. James has been visiting all the local residents’ associations to introduce himself and shake hands (I ran into him at the last West End residents’ meeting a month ago), as well as attending citizen-organized chats upon request. James has been the most visible challenger so far, having started his “citizen advocate” campaign months ahead of the official announcement that he was seeking the mayor’s chair. I was surprised that he did not show, prior engagement or no. “Ladies and gentlemen, I shall be short because the chairs are hard…” – Crusty council candidate James Bell appeared frail but peppered the evening with irreverent one-liners. Quite genteel in our conversation following the debate, he was fiercely outspoken on a few issues, specifically commenting on the hazard to pedestrians and cars of open ditches in Queensborough. His final remark was, “Ladies & gentlemen I want to thank you for enduring these hard seats while you were subjected to word hypnosis.” James is also running for school trustee. “When I got into city politics it was to answer the question, ‘can compassion and politics go together?’ The answer is yes, I believe they can.” – Incumbent councillor Jaimie McEvoy, whose day job is the director of the Hospitality Project in New Westminster, is an outspoken advocate for New Westminster’s most disadvantaged residents. He has a closer view of the impacts of poverty than most, on the front lines of one the largest food bank in the Lower Mainland, serving 3,000 people every month. Thoughtful and self-effacing in a one-to-one conversation, I was surprised to find that Jamie is a hell of a debater. I’ve never seen him in action before. “My name is Chuck Puchmayr, and … I’m back!” – Former MLA Chuck Puchmayr introduced himself with a note of surprise, acknowledging his last-minute declaration of intent to run for council. He delayed his entry into the race until he got a bill of clean health from his doctor after his recent battle with cancer. Chuck is a polished politician and expertly reminded all of his successes as MLA and councillor as he responded to questions. Chuck’s got a cheeky sense of humour, as seen in his choice of URL: politicallycorrect.ca. “I want to help build a better communication between the city of New Westminster and the people of New West. That is, your concerns and issues, we want them to be properly answered.” – A self-described “rookie” politician, Gerry Liu apologized several times for his lack of polish. Polish or no, he has heart. “Development Cost Charges should be transparent so that citizens can see how the money is spent” – Harpreet Singh Sihota echoed a sentiment that ran strong in Queensborough. Many in the audience demanded more transparency in terms of how the money paid to the City by developers is spent. Some suspected that money levied in Queensborough was funneled towards improvements uptown, however all incumbent councillors said unequivocally that all DCCs collected in Queensborough are spent in Queensborough, pointing to water and sewer upgrades, new parks, the rec centre expansion and upcoming Ewen St. upgrades as examples of how this money has been spent. “It’s important that we have a city hall that cares.” – Jonathan Cote spoke about the social and environmental issues he is so passionate about. He mentioned there has been a 45% decline in the homeless population in New Westminster since establishing more shelters in New West. “I will bring balance back to council.” – Veteran former councillor Cal Donnelly, who has served under five mayors, appealed to voters to bring him back to council. Cal was the only politician to include a QR code and a link to a Surveymonkey survey on his election flyer, though, oddly, not an official website. “One of the most important things we’ve done in the last three years is the official apology to the Chinese community,” – Bill Harper, responding to a question about multiculturalism and inclusiveness in New Westminster, mentioned the apology for the city’s racist past was very meaningful for many Chinese-Canadians. Harper also mentioned that the controversial DCCs mentioned earlier used to be among the lowest in the region at $750/unit. Council has raised the fee to $6,500 per unit, which is closer to the middle of the pack. “We need our fun. You can’t live in a city where there is no fun.” – Paul Mulangu, who recently made headlines for chaining himself to a door and launching a hunger strike to protest funding cuts to his Centre of Integration for African Immigrants, focused on the need to encourage more multiculturalism and culture in New West. “It’s not up to City Hall to tell people what is good for them, it’s up to people to tello City Hall what they want and need.” – Former Arts Council Chair Susan Wandell, speaking about the importance of citizen involvement. “This city is doing its share for the region.” – Betty McIntosh pointed out that because some neighbouring municipalities do not have homeless shelters and other services for the poor, New Westminster is shouldering more than its share of the responsibility for their care. She mentioned that New Westminster has 1,900 subsidized housing units – a lot for a population of about 60,000 people. “Every councillor has personal phone numbers. If you need a private meeting, call us and we will come.” – Bob Osterman and the other incumbent councillors tried to stress how open they are for citizens to share their concerns. Communication and transparency in city dealings was a recurring concern voiced by citizens in their questions for the candidates. Gavin Palmer was also in attendance, however I didn’t catch any quotable lines from him. He is an outspoken Queensborough advocate. Despite vocal opposition from Quayside residents concerned about the impact on their views, city council has approved the request by Port Royal developer Aragon Properties to build a taller tower in Queensborough. On Monday city council voted 5-2 in favour of a height variance for the Queensborough tower, which will allow the developer to add 28 more feet to the highrise. Coun. Bob Osterman and Bill Harper opposed the variance. Allegations that city councillors who are endorsed by the New Westminster District and Labour Council or the Voice New Westminster electors group didn’t hold any weight in council’s consideration of a development variance for the Aragon Group’s proposed highrise at Port Royal. Councilors Bob Osterman and Betty McIntosh, members of the Voice New Westminster slate, were on opposing sides of the vote – a fact that made McIntosh smile. McIntosh supported the variance, while Osterman was opposed.